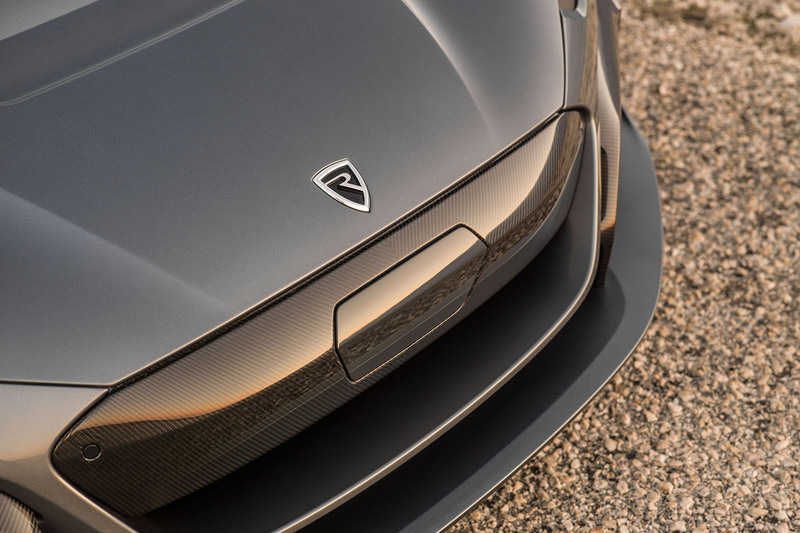 Rimac has confirmed that its second electric model, the C_Two, is close to being sold out just three weeks after it was revealed. Head of sales Kreso Coric said at the New York motor show that nearly all 150 examples of the model, which can achieve 0-60mph in 1.85sec and 0-100mph in 4.3sec, have now been spoken for. It costs from €1.7 million, which equates to about £1.5m at current exchange rates. Buyera are adding an average €500,000 worth of options. The model's performance puts it on par with the Tesla Roadster, which is claimed to do those benchmark sprints in 1.9sec and 4.2sec respectively. The C_Two is a follow-up to the Concept One, which achieved 0-60mph in 2.5sec and became infamous after ex-Top Gear presenter Richard Hammond crashed one of only eight cars built. This new model uses a 120kWh lithium battery and develops 1888bhp and 1696lb ft of torque. It has an electric motor at each wheel, allowing for four-wheel drive. It uses a pair of independent single-speed gearboxes to drive the front wheels and a pair of two-speed carbon-clutched gearboxes for the rear wheels. 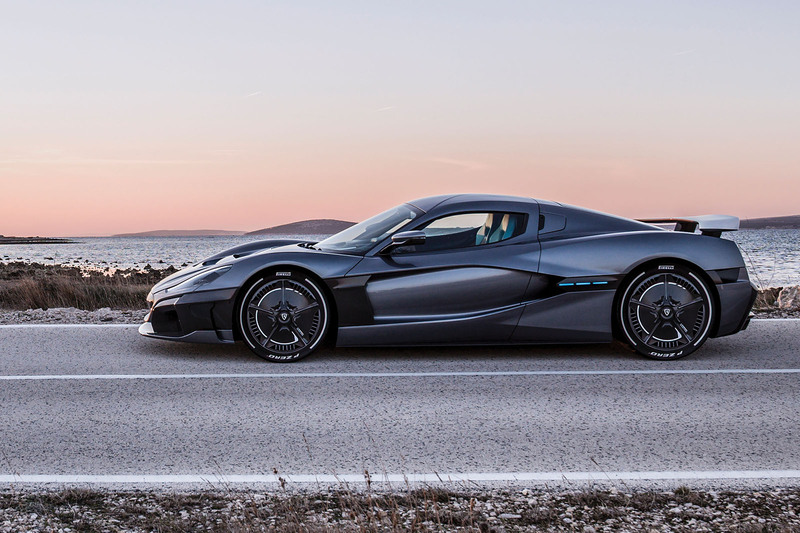 This allows the C_Two to make use of “its prodigious torque”, said Rimac. The car employs all-wheel torque vectoring, coupled with huge 390mm carbon-ceramic brake discs and six-piston calipers on both front and rear axles. The largely carbonfibre model features double wishbone suspension with electronically controlled dampers and active ride height. Capable of a top speed of 258mph, Rimac claims that new liquid-cooled thermal management systems mean the car is capable of two full laps of the Nürburgring at full power “with negligible drop in performance”. An inability to perform consistently is a criticism often levelled at electric performance cars. The C_Two has a claimed range of 404 miles on an NEDC cycle and can be charged to 80% capacity in less than 30 minutes. The two-seater also features Level 4 autonomous driving – one level off full autonomy – as well as artificial intelligence. On-board systems use facial-recognition cameras to unlock the car and let the driver start it without a key. The car then attunes itself to the driver’s mood by recognising various inputs and adapts accordingly. This could be by playing soothing music or adjusting the car’s dynamics for a more pliant ride. As part of its autonomous capability, the C_Two’s systems can load selected race tracks in real time, offering guidance on racing lines, braking/acceleration points and steering inputs. The hypercar uses a carbonfibre monocoque with bonded carbon roof, integrated battery pack and rear carbon subframe. Crash structures are formed from carbon and aluminium and the body itself is carbonfibre. The C_Two will go into production in 2020, while first mules will be built later this year. While Rimac develops its own cars, it is also a supplier for many car makers including Aston Martin, for which it is providing the Valkyrie hypercar’s hybrid system. Every car maker big or small, new or established have Tesla in their sights. Other than Jaguar I Pace all other cars are work in progress yet they get mentioned as if they are more than fantasy. In this type of segment the Tesla or any other EV for that matter are the least desired cars of the bunch, get real! Pretty staggering that they've sold all of them at near enough £2m.. If you are unable to remember password in microsoft edge so you may have help and support of this portal remember passwords in egde which is known to be hub of information and will also help you to find out exact path for the same purpose.